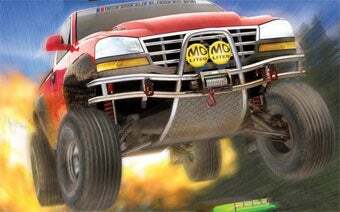 Monster Games, Minnesota-based developer of Excite Truck for the Wii, are hard at work on another Nintendo-published game, one described as "top-secret." Well, aren't they all top-secret, even if they're Excite Truck 2? It may not be a direct sequel to the Wii launch title, at least according to an older rumor about Monster Games' development plans, via good ol' Surfer Girl. Locally Grown writes that the development on the game is "so private the designers must darken their monitors when the bottled-water deliveryman enters the office." Certainly not for Excite Truck 2! According to the article, Monster Games has been hard at work on the unnamed title for two years, as of last month when the article was published. Perhaps Nintendo will have some surprises for us early next year.